For the inaugural exhibition of BETWEEN ARRIVAL & DEPARTURE, Cooper Jacoby (b. 1989, based in Los Angeles) presents three works which address the modes through which the newly founded project space is made visible and accessed. 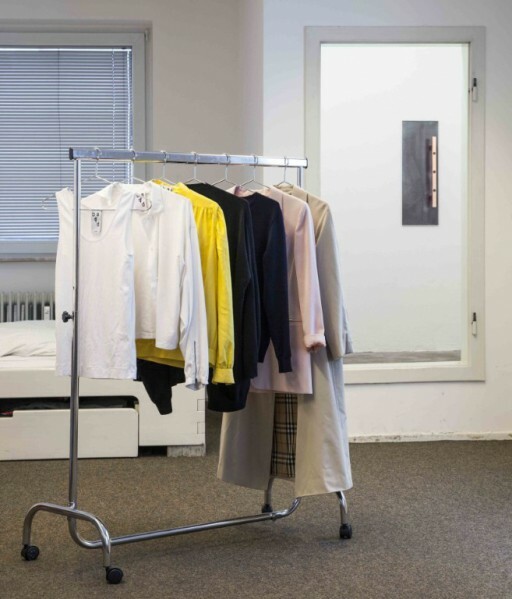 Incorporating the logo which Jacoby has designed for BA&D, all of the works concentrate on the margins of the exhibition space: an entrance sign, a large edition of clothing labels and a sculpture featuring a door handle. Beside the entrance, an outdoor sign displays the space's logo as a watermark, embedded beneath an image of the innards of a camera bag. Printed to scale on a perforated foil typically applied to storefront windows and vehicle wraps, this luggage parallels the compact size of the space while highlighting how both containers - the handheld as well as the architectural - are outfitted towards documentation. As a commercial front outsized to the space, the entrance sign misdirects expectations of what it brands and teases out the latent professionalism undergirding the casual codes of off-spaces. 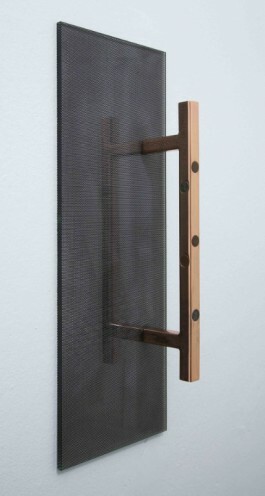 Mounted to the wall on thick glass at the same dimensions as the entrance sign, the sculpture "Blank Faces" (2014) includes a polished copper-plated door handle which is inset with steel pennies and unminted, blank pennies. Unable to circulate due to these errors, the coins are fixed at opposite ends of value's manufacture: the unstamped pennies lack the design investing them with value, while the steel pennies lack the copper surface which ostensibly guarantees their imprint. 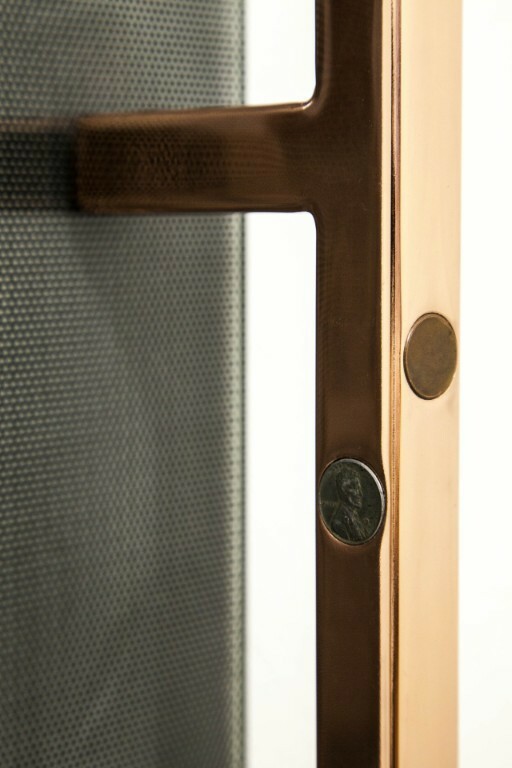 Jacoby has previously installed similar handles on entrances as functional replacements for their hardware, but here on the wall, the single door handle and the coins it contains remain suspended from the traffic of hands. 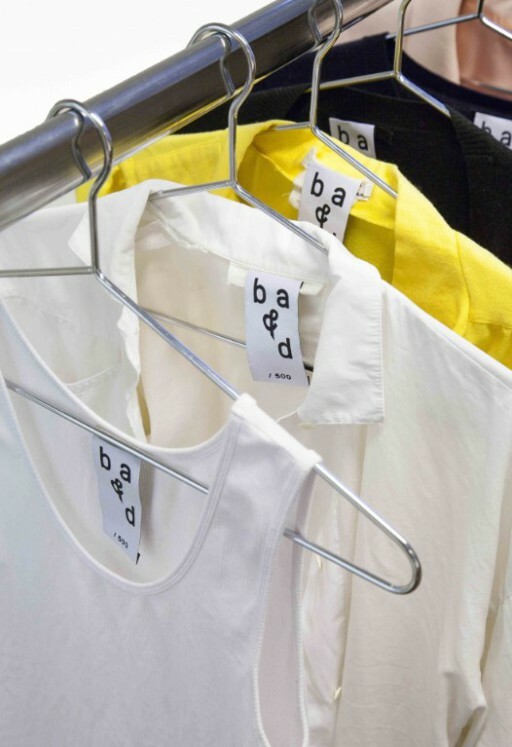 In addition to the sculpture and entrance sign, Jacoby has produced an edition of clothing labels woven with the BA&D logo. Presented as a collection of the curator's tops, the conspicuously oversized labels are stitched to cover the pre-existing labels of the garments, supplanting and re-valuing them. Concealed from others as well as the hosts who don them, the labels parasite onto the bodies which disperse them, invisibly inserting themselves into the everyday. The labels stage their branding less as the promotion of a consolidated, public surface and more as a selection in which professional identity becomes attached to experience so intimately that is only fully perceptible when it hangs at a distance. All of the works are oriented to how their reception and distribution are filtered through forms of commercial design, yet they also focus inward onto the space they inhabit. As part of "Blank Faces," the same perforated foil print that is layered on the entrance sign is applied to the back of the glass facing the wall, presenting a black screen instead of an image. 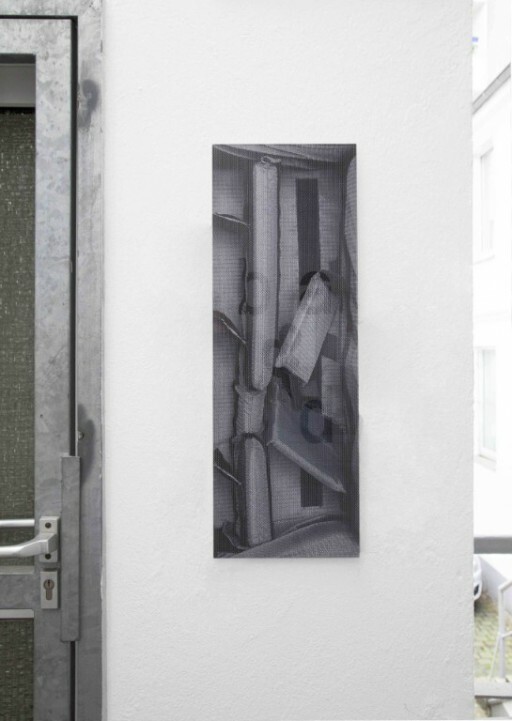 Positioned directly across from the entrance on the far, opposite wall, the camera bag is doubled—facing front and back—to create a kind of parenthesis which subsumes the residence that lies in between them. 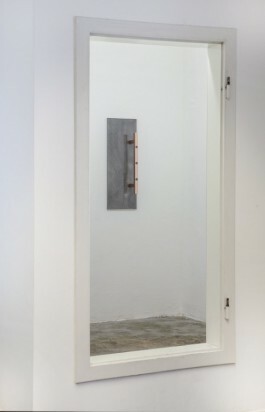 From the entrance to the sculpture's false exit, Jacoby brackets a temporary passage through the activity and materials which otherwise remain cropped from view, yet which vitally constitute the space and script its relations.